If you are in Chennai, India. You are lucky! Because 7 Stones Digital is headquarted its base here! Now lets brief you on "Why its important to have a website?" A website is your audience’s catalogue to your business on the internet. At 7 Stones, we help you design a fully functional as well as an authentic website for your business. A website that attracts the attention and also retains visitors when representing YOUR brand. Why Website Development is Needed for Your Business? The world is now a place of Internet connections instead of an interpersonal connection, the success of a business depends upon its ability to develop and adapt skills, “Be where the world is” is the motto for a successful online presence moreover a website is a window which will provide the millions of users online an insight into your business, your specific skill sets, your brand axioms and it’s core values. Web development is the vital part of any successful marketing campaign, people gain access to a host of information online by just clicking a button and if your business is not on that click, you'll lose access to your leads who will eventually become your potential customers, so designing and developing a website that is in accordance with the latest trends and effectively reflecting your brands persona is important to thrive and survive in this digitally driven world and 7 Stones Digital is the zenith of Website design & development services as we provide the necessary skills and strategies for your business to dominate on the digital market. Have a look at our website designing works! Book a Free Consultation - OR - Look our works! 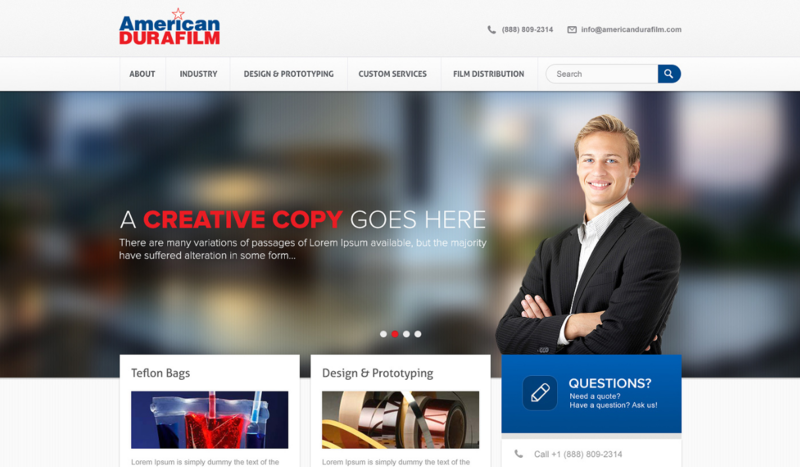 6 Major Factors that make our Website Designs Stand out! Today, one of the major challenges that many companies in India face is "Brand Recognition". The best platform that offers this Brand Recognition is a Website. 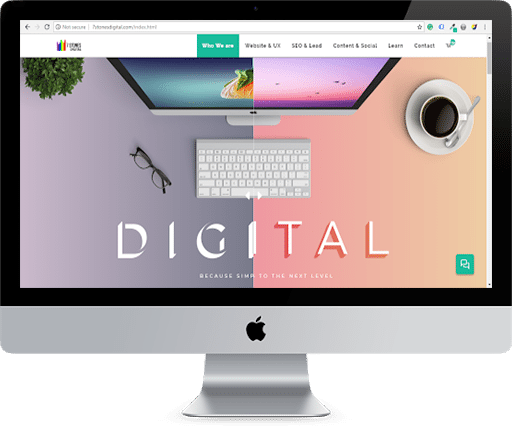 At 7 Stones Digital, our Website Designers Project your brand in the bestest way possible through creative Website Designs. A user-friendly web design is easy to navigate around for the site visitor. Organized navigations make your website look structured and retains site visitors. A user-friendly website enhances the user experience and their engagement. Search Engine Optimization is the simple task of ensuring that your website is available when customers need you. SEO makes your website visible in the search results. To make the website SEO optimized, we run site audits and create relevant content with the right keywords. In a country like India, where you can't afford to be unheard, having an SEO friendly website is crucial for the smooth running of your business. Website personalization means serving unique content and recommendations for each and every user. When personalization is used, every single site visitor feels welcomed and delighted. Personalized websites are built with the help of data sources, analysis and algorithms. User experience is a mix of appearance, feel and usability of your website. A great website user experience leaves your customer feeling delighted. With a structured layout and a mobile-friendly website, you can increase your brand value and retain site visitors. In India, where internet penetration is expected to reach 500 Million by the end of 2018, it is very crucial to have your site loading speed checked and optimized. Not every customer is patient enough to wait for your website to load. Site loading speed is one of the factors that influence the site visitors. Page/website loading speed determines if the visitor is going to stay or leave the site. For example, if your website has a payment gateway integrated, it is important to have a speedy loading for the completion of the payment process before the user loses patience and refreshes the page. At 7 Stones, we run speed test programs and ensure your website loads faster than ever. For the first time in Chennai - India, we reveal the pricing and packages openly. From the number of pages in the website to payment gateway integration, website design and development consists of various services. You can opt for all the services according to your website's needs or opt for only a few. The choice is yours. 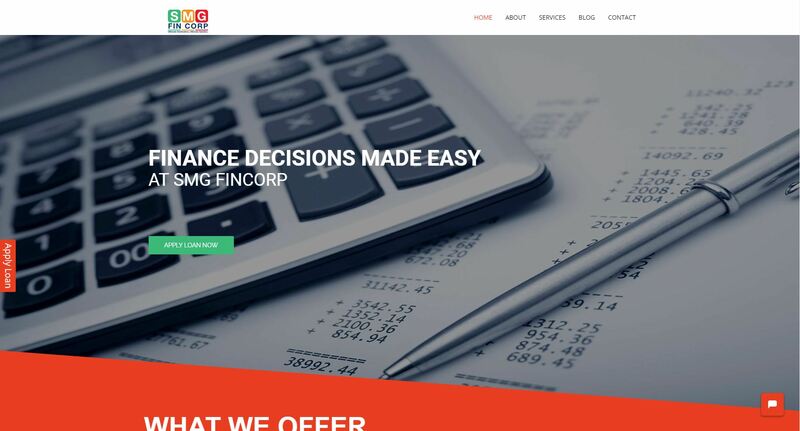 The above specially designed quote calculator from the top web designing company in Chennai, 7 Stones Digital gives you a approximate estimate of the pricing. Whether a brand new website or redesigning your outdated website to suit the current trends, you need to be aware of the pricing stage. 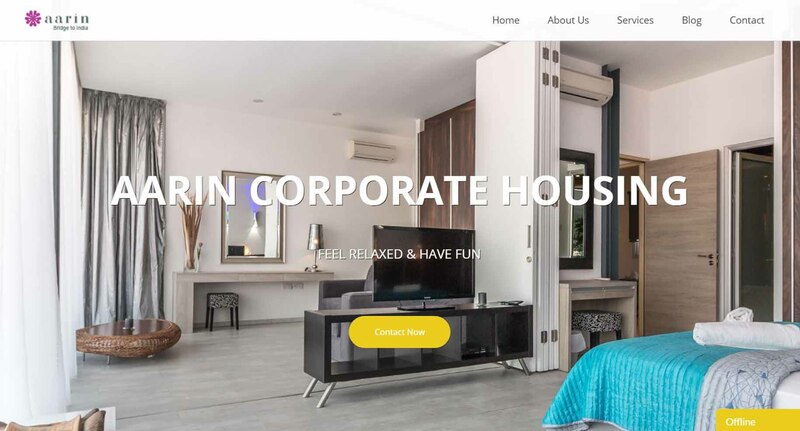 As we are also interested in helping small and medium scale businesses, our website services are cost-effective compared to other Web Designing Company in Chennai-India. 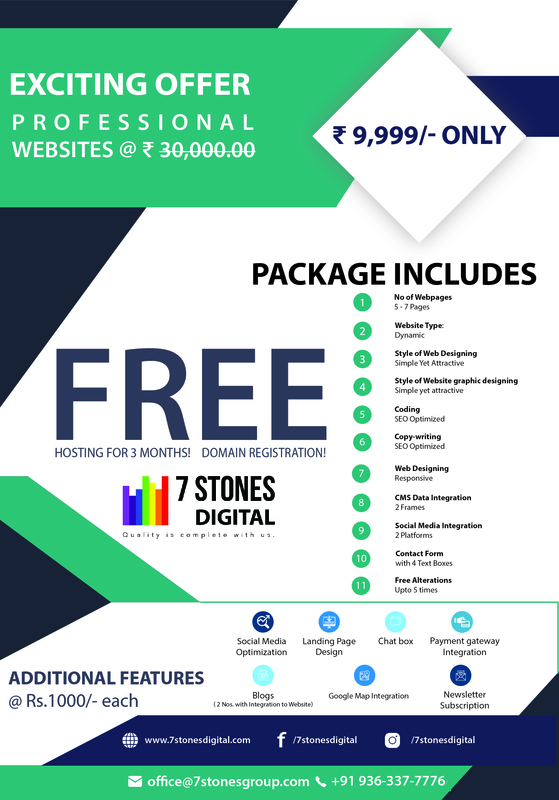 Why you have to choose 7 Stones Digital to get you Corporate Website Designed and Developed? Transparent and Affordable Web Designing and Development costing! Award Winning Website Designs from Web Designing proffessionals! Attractive Designs with enhanced Web Design! Expert Website Re-designs Get your website Re-Designed today! 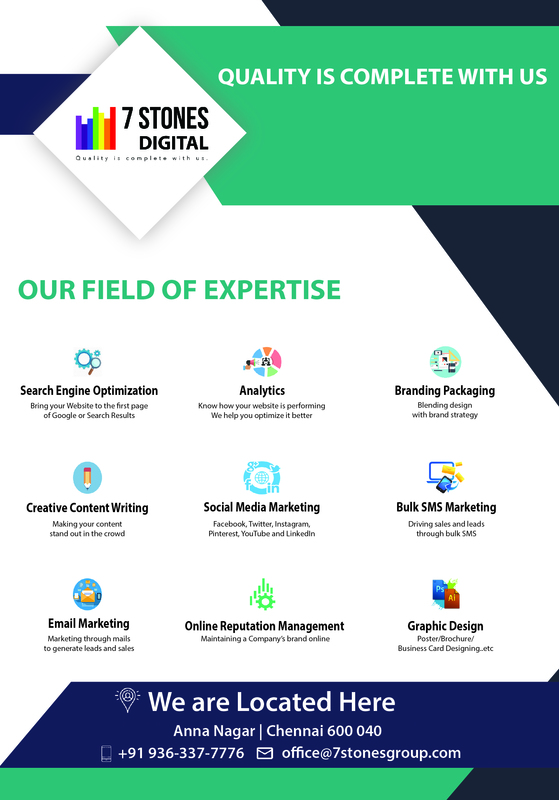 The above reasons must tell you why you should choose The Best Website Designing Company In Chennai, which is 7 STONES DIGITAL! Call us today to get your Budget friendly Website developed Today!